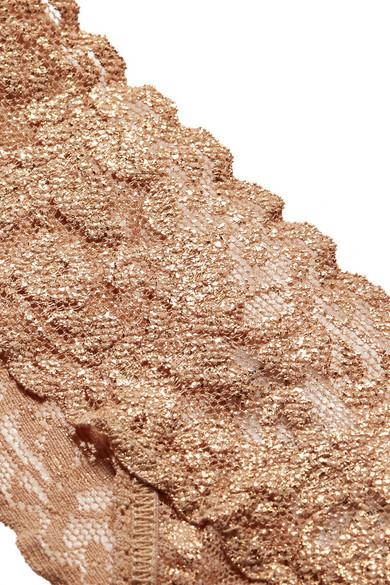 Hanky Panky's 'Stardust' thong is made from the brand's ultra comfortable stretch-lace in a sand hue that's woven with copper threads for a metallic finish. This low-rise pair is cut for a flexible fit that's flattering on a wide range of body shapes. Pair yours with the matching bra.